Start making plans to attend the inaugural APHA Eastern National Championship Show, held March 22–24 at the Virginia Horse Center in Lexington, Virginia. View the Eastern National Championship Show schedule. Find all information about the Eastern National Championship Show. Kathy Avolt and An Equine Production will manage the Eastern National Championship; An Equine Production is one of the country’s leading horse show management groups, managing approximately 125,000 entries annually. Additional details and entry forms are set for release in the coming weeks; watch apha.com for updates. The inaugural APHA Western National Championship Show is scheduled for October 16–19 at the South Point Arena & Equestrian Center in Las Vegas, Nevada. Exhibitors may compete at either—or both—championship show. 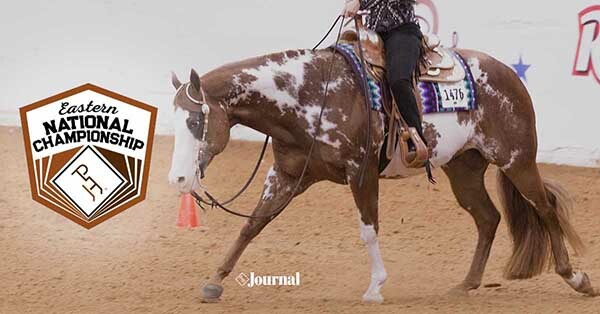 Sponsored by the American Paint Horse Association, the APHA National Championships will each be four-judge shows offering APHA points and national championship titles. Qualifying is not required.